Metal music is one of the most fluid genres out there. 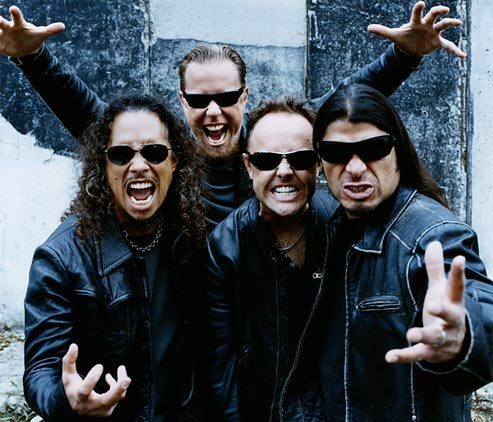 With that said, everyone knows just what kind of impact Metallica had on this, at the time emerging music direction, and what kind of role they had shaping it into what it is today. 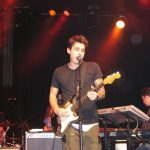 This band has reached the type of global fame only a few artists ever reached. When you go just about anywhere in the world and mention Metallica, nine times out of ten people will know who you are talking about. 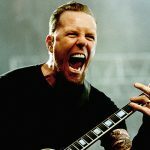 James Hetfield is the frontman and the most recognizable face of Metallica. 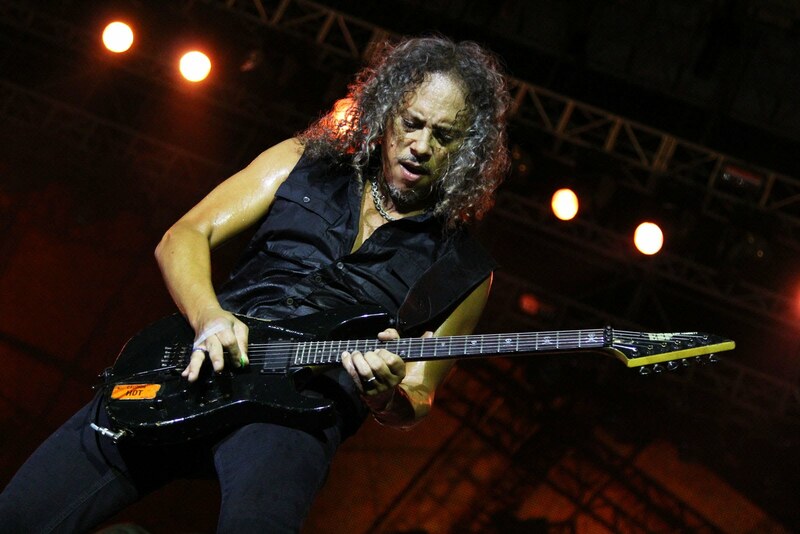 However, a good portion of their sound comes from the other axeman and shredder of leads, Kirk Hammett. Even though the whole band has grown older, Hammett will still be known as the slim guy whose curly long hair has a life of its own in the midst of all the thrashing and head banging going on during their set. 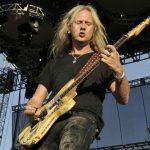 Hammett’s sound is one of the most sought after in the community, and today we are going to talk about what equipment he uses to achieve it. 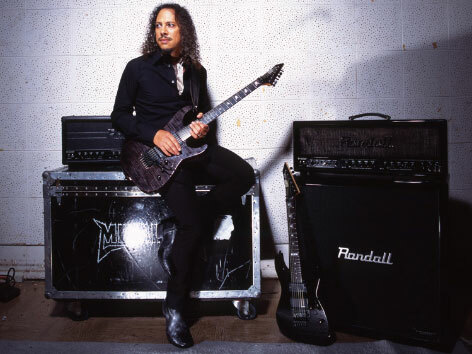 One look at Hammett’s guitar setup will reveal one facet of his relationship with music. 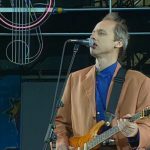 The number of different guitars, amps, and pedals he used to use, and still uses is impressive. It feels like there is not definitive standard when it comes to what he prefers to use. Even so, he has managed to maintain a pretty uniform sound that hasn’t changed all too much over the years. Let’s start from his guitars. Anyone who has been following Metallica for some time, probably knows that Hammett has a special place in his heart for ESP guitars. One of the more noticeable models is his ESP KH-2 ‘Ouija’ which became a legend in its own right. It’s not the first guitar he has made in cooperation with ESP, but it’s definitely one of the most popular ones. 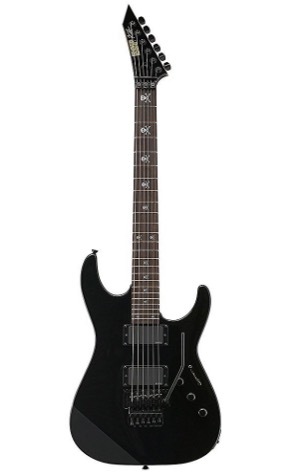 The tone this ax generated was made possible by two EMG pickups, namely the EMG 81 and EMG 60. This is a relatively popular combo that many guitar players install on their guitars. Hammett’s ESP signature series contains a wide variety of models, which also extend to the LTD line. 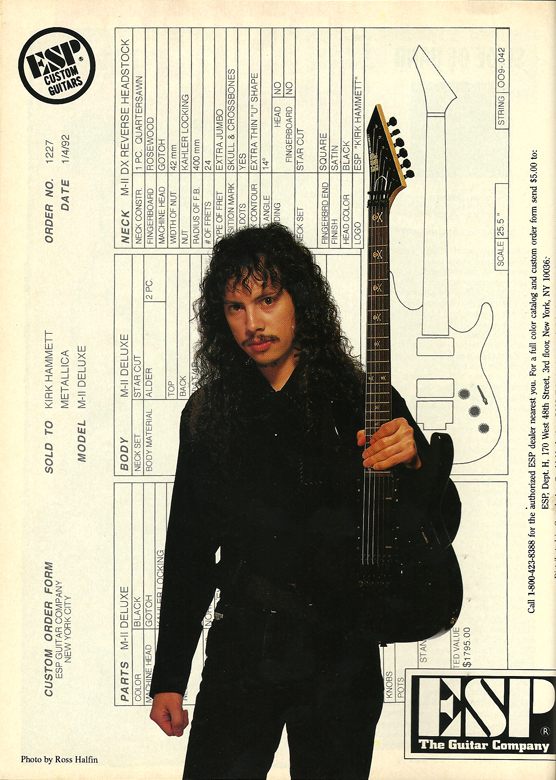 Aside from his standard ESP lineup, Hammett also owns a number of Strats, Les Pauls, Jackson’s and others. When someone loves playing guitar as much as Kirk, there is no limit on how many guitars one can own before they draw the line. When it comes to amps, the situation is not much different compared to his taste in guitars. Early days of Metallica were defined by a variety of Marshall JCM stacks, which the band used to record the first two albums. Later on, they have moved on to Mesa/Boogie, and have grown to appreciate the Dual Rectifier. This beast of an amplifier needs no special introduction, and is usually paired with a Mesa/Boogie 4×12 cab that packs Celestion Vintage 30s. Hammett’s choice of amps has changed since 2007. This the year he signed a contract with Randall, and together they’ve made some pretty great amps. His signature series heads are definitely one of the better sounding Randall amps you can find. Of his signature Randall amp, Kirk says it can “do anything I needed it to do.” Check it out! Aside from Marshall, Mesa/Boogie and Randall, Hammett’s list of amps included a number of Hiwatts, Bogner‘s and of course, the Vox AC30. Those tubes are hard to replicate, and you will find one in just about any professional guitar player’s inventory. Hammett is not that big on using distortion pedals in his setup. The initial Metallica albums were recorded more or less on whatever overdrive channel the amps they used had, and that way of getting things done stuck with Hammett until today. 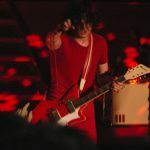 This isn’t to say that he never uses a distortion pedal, but the ones that do find their way to his pedalboard are nothing exotic. 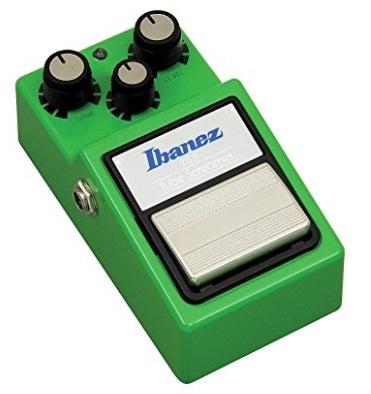 He’s been known to use the Ibanez TS9 Tube Screamer (a TS808 will also work) and a Line 6 DM4. Other effects are a completely different story. These days Hammett is leaning heavy on Line 6 pedals for his modulation effects. We’re talking Line 6 MM4 and FM4 combined with Line 6 DL4 Delay pedal. One of the more notable models you can see on his pedalboard is the Digitech WH1 Whammy. 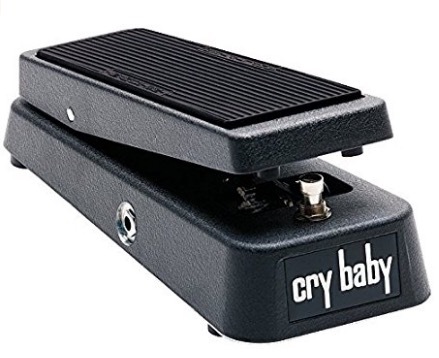 This legendary pedal has been around a while, and just like Metallica, it had a huge impact on the way we see guitar effects pedals today. Kirk also has his own Dunlop Wah model that goes under the name K95. 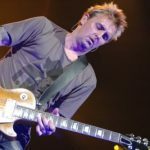 Interestingly enough, Kirk likes to have some of his effects in rack format. For example, you will find a Dunlop 1SR Rackwah packed along the Fulman PL Pro, with a number of rack mounted preamps and gates being a part of the setup as well. 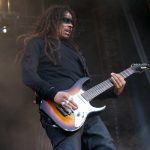 Hammett’s guitar rig and setup is one of the more diverse in the world of metal music. That comes as a bit of a surprise seeing how his tone, and the tone of Metallica as a whole, hasn’t dramatically changed. St. Anger was probably the album that had the most unusual type of vibe for Metallica, but even that record was still within the margins of their standard sound. If you are on a task of trying to emulate Kirk Hammett’s guitar tone, there is a number of things you can do to achieve that goal. Starting with one of his signature model ESP guitars will give you a great foundation. The fact that he uses pretty common amps and effects pedals makes his tone rather transparent. 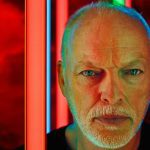 However, if you are aiming to completely copy his setup and tone color, you might need to dwell a bit deeper into his preferences and specific gear he used for the album you are interested in. With that said, Hammett’s energy and level of emotion he infuses into his performance, is still one of the best things about Metallica. Their new album just came out, and we are happy to report that the band is back to their original style.